As South-East Asian countries gear up for their ASEAN Economic Community, coming into effect by the end of this year, Indonesia should look into setting up special economic zones together with bordering countries. These special zones are in line with the ASEAN Economic Community’s blueprint to support local businesses and allow people and goods to move freely between states. Having countries jointly set up economic hubs in border areas can minimise territorial disputes, reduce cross-border crimes and improve the lives of people living in remote outposts. Economists call these areas Special Border Economic Zones (SBEZs). It’s a variation of Special Economic Zones (SEZs), a dedicated area where businesses receive tax breaks and other regulatory incentives to produce and distribute goods. A Special Border Economic Zone is an area set up by bordering countries to support businesses and promote trade and tourism at the border. Malaysia and Thailand have a couple of these hubs and plan to have at least eight between them. The Greater Mekong Subregion, which covers Vietnam, Thailand, Laos, Cambodia and Myanmar plus China, will have 60 SBEZs by the end of 2015. Some 54 of these are between the borders of Laos and Cambodia. But Indonesia, which shares land borders with Malaysia, Papua New Guinea and Timor Leste, has yet to join the crowd. Most Indonesians living in border areas are poor. Far from the centre of government and business, the roads and schools in these remote areas are in bad condition. Human traffickers and drug smugglers often use unsupervised borders to move their victims and illegal cargo. Border economic zones may be a solution to these problems. SBEZ is not a one-size-fits-all solution to stop these crimes. But it is a way to minimise them. These shared economic zones in border areas increase community and government presence, which may reduce the areas' vulnerability to illegal activities. By creating jobs, border economic zones may also reduce welfare problems in these areas. Indonesia can look at different models between Thailand and Malaysia, the countries in the Greater Mekong Subregion, and the Oresund region between Sweden and Denmark, as case studies. The Narathiwat-Rantau Panjang zone between Thailand and Malaysia is an incubator for small and medium businesses. It produces traditional snacks and has a shared market that can attract tourists. The two countries also share Rubber City, an industrial zone that produces rubber and products from the material, between Thailand’s Ban Prakob and Malaysia’s Durian Burung. It has an inland port and Thailand and Malaysia are planning to build a border town with schools, hotels, a convention centre, health facilities and public transportation. 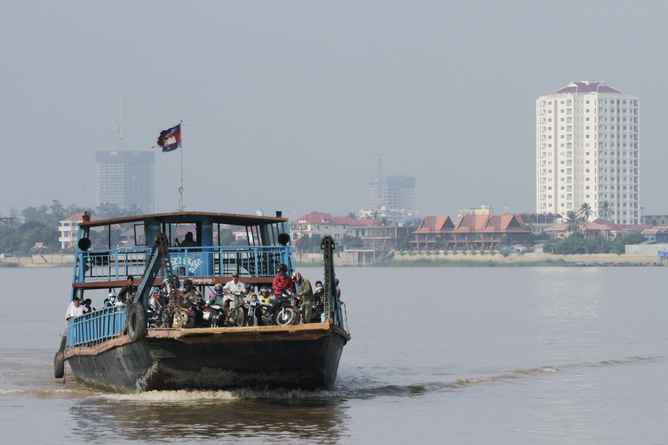 Meanwhile, through a Cross-Border Transport Facilitation Agreement, countries in the Greater Mekong Subregion agreed to build economic zones around the borders. Countries set up joint facilities to inspect people and goods going through the borders. Similar to SBEZs between Malaysia and Thailand, these border economic zones provide jobs and promote trade and tourism. The Oresund region between Denmark and Sweden is far more advanced. It’s an area of more than 2 million hectares – more than twice the size of Melbourne – where Swedes and Danes share a space to work, trade and live. To develop SBEZs, Indonesia should arrange the relevant regulations and policies with neighbouring countries. An intergovernmental body to oversee these areas will be needed too. Indonesia may consider doing a more comprehensive study to determine potential areas that could benefit from SBEZs and start talks with neighbouring countries on this basis. Indonesia faces many problems in its border areas, from human trafficking and smuggling to activities of separatist groups. It should not deal with these issues only through a defence and security approach. If Indonesia would like to improve control of its borders and retain its sovereignty, it should also improve the wellbeing of people living there.